The growing popularity of Utility Terrain Vehicles means more trails are being opened to the two-seat off-road cousin of the ATV on the Hatfield-McCoy Trail System. CHARLESTON, W.Va. — The growing popularity of Utility Terrain Vehicles means more trails are being opened to the two-seat off-road cousin of the ATV on the Hatfield-McCoy Trail System. UTVs have always been allowed on all green, or easiest-to-ride, trails in the Hatfield-McCoy system, but have been banned from trails rated intermediate (blue) and most difficult (black). This week, Hatfield-McCoy Trail System officials announced that all intermediate trails, totaling about 175 miles, are now open to UTV use, and that advanced-level black-marked trails at the Little Coal River System 20 miles south of Charleston would soon be open to UTVs. By having all green and blue trails open to the wider, two-passenger vehicles, UTV riders will have access to about 80 percent of the Hatfield-McCoy system’s 500 miles. UTVs currently lack the federal safety laws mandated for the manufacture and sale of ATVs. The Hatfield-McCoy Trail System has created its own list of regulations, which mirror those for ATVs and take into account expected labeling and rider limitations. 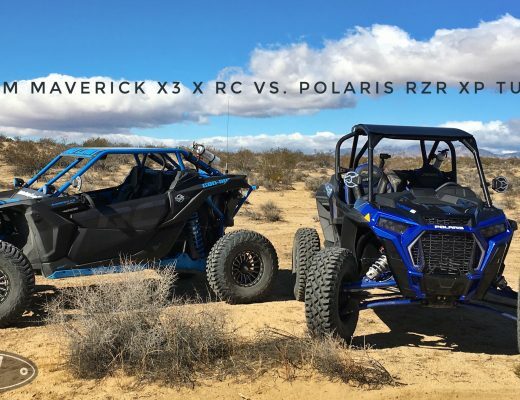 “We feel we are leading the way for the rules and regulations for the UTV side-by-side machines,” said John Fekete, the trail system’s deputy director. Fekete said trail system employees have been using UTVs for maintenance and enforcement work for the past five years without incident. “We’ve field-tested them,” he said. The decision to open more difficult trails to UTV riders followed “several months of watching how the riders were handling the [green] trails,” Fekete said. UTVs are slightly wider than ATVs, with a passenger and driver sitting side-by-side under a roll cage. The vehicle is equipped with a steering wheel and seat belts.